The board & battery banks + room to grow. 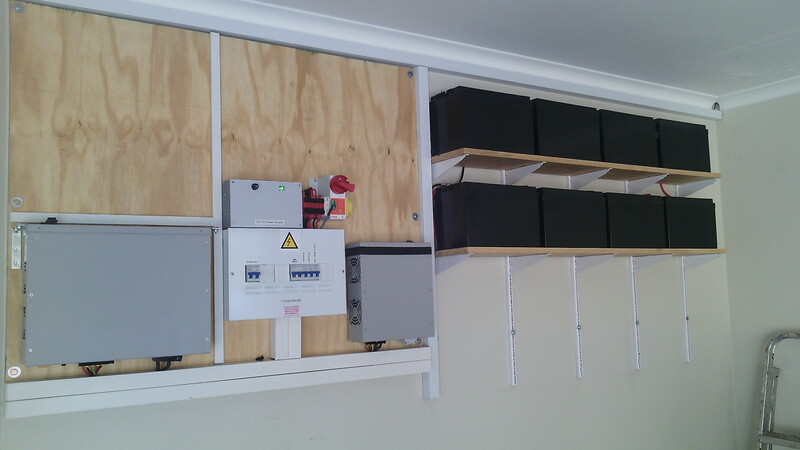 The Inverter Board and battery banks were installed in the garage at a height which cleared the front of the car when parked. 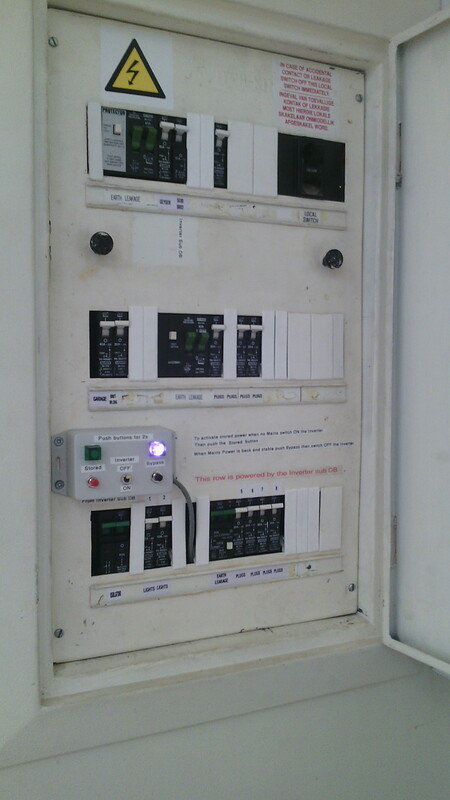 The Gave motorised bypass switch can be seen above the local sub distribution board to the rhs. A separate battery-backed up 12V power supply is necessary to power this, which can be see adjacent to the Gave. Additional space was provided on the board to accommodate future additions such as a Solar Charger. Provision was also made for another string of batteries. 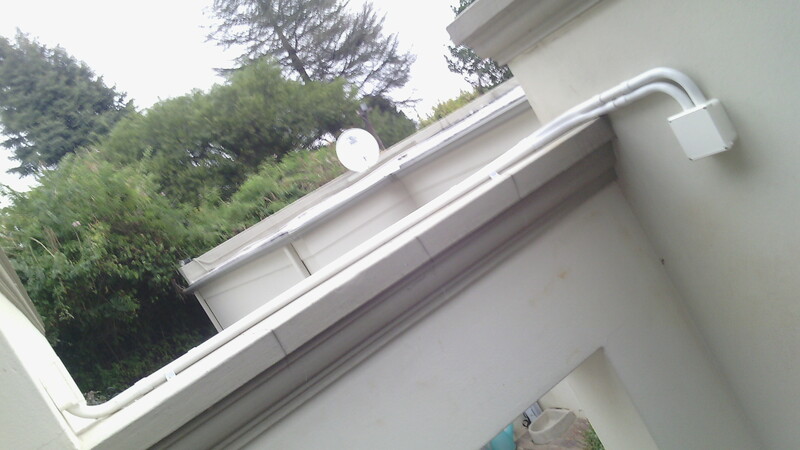 Cabling routing from the main distribution board in the house (with a flat) roof presented some challenges. Here two runs of 25mm PVC ducting carry the conductors to and from the Inverter Board. 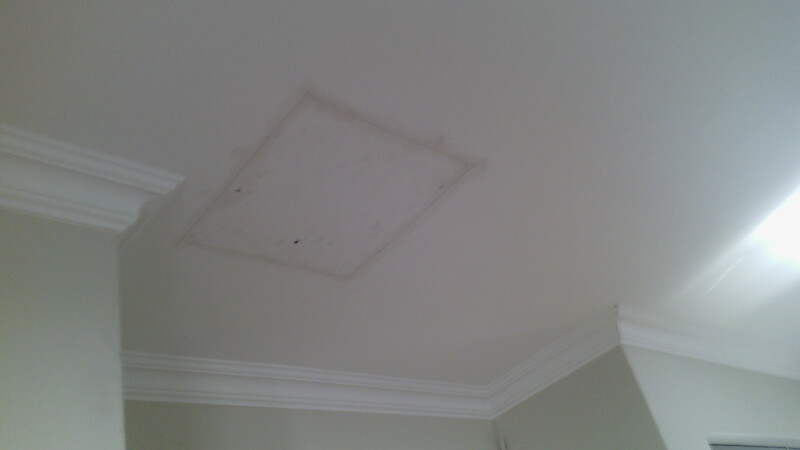 To route the cables through the roof, a number of portholes had to be cut in the ceiling since there was no access to the roof, besides there was no working clearance in the roof. The openings were then fixed, sealed and finished and restored. The circuits to be powered by the Inverter were separated and arranged at the vacant bottom row of the Main Distribution. The Remote Controller was mounted there as well, which was custom made to fit into the board. The Remote has two push buttons to change the state of the Bypass Switch, as well as an On-Off Switch for the Inverter. This allows the system to be activated when necessary.